Beautifully designed custom home in The Reserve at Tamarac! Tandem 3 car garage; Harwood flooring on the main level, soaring 25 foot vaulted ceilings with open beamed construction. 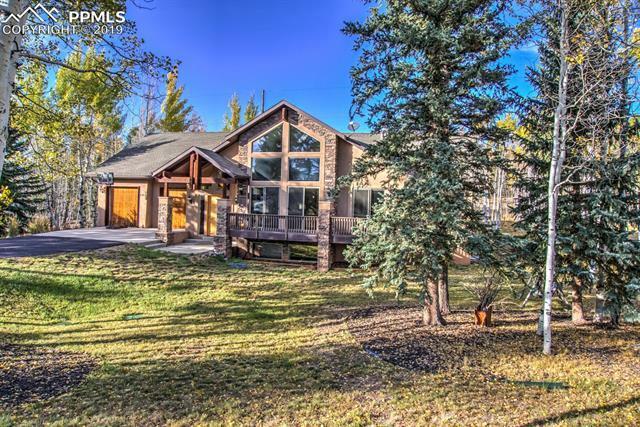 Large master suite, gas fireplace with sitting area overlooking Pikes Peak, 5 piece bath, and large walk-in closet. Expansive living room, with massive rock gas fireplace, looking out a wall of windows facing South! Gourmet kitchen, gas cooktop, plus an additional electric stove and oven, pantry, breakfast nook leading to rear covered deck!